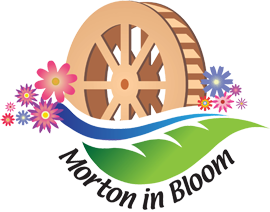 Morton Wins Yorkshire in Bloom Gold! Reversed the pic – kind of interesting – if you have pictures of Morton you would like to share please email them to us! Formed in 1980 – from a dedicated group of “Mortoners” – the aim of Morton Village Society is to preserve and enhance the village of Morton. Since we were formed we have achieved many goals in our village – by the community pulling together – but to make it even better – we need your help! Our Annual General Meeting is held normally in July every year, where all members are very welcome to attend to hear what we have done in that year or to discuss any other issues. The ‘100 PLUS CLUB‘ was launched on October 16th, 2001. So called as we were not too sure how many people would sign up. We are thrilled to say that we now have around 500 numbers in the lottery representing around 300 homes. Find out more..Join the Draw! East Morton has held an annual Gala on the recreation ground for 54 years. Prior to that individual clubs in the village arranged their own events but the bringing together of all of these into one special day has a proved hugely popular.It is now the village’s biggest event and provides old fashioned family entertainment. On 17th September 2014 we were awarded a Gold award together with the Busfield Arms. Very little evidence of Morton’s history has survived the passage of time. Relics of early man have been found on nearby Rombalds Moor, but probably the earliest significant remains were those of the Roman road that ran from Ilkley to Manchester passing through Morton on its way. This was much in evidence in the early 19th century and approached West Morton from the north of Upwood Hall and proceeded down to the River Aire in the vicinity of Marley. Unfortunately the best preserved stretch near Upwood Hall was destroyed by Mr Busfeild around the year 1848 and the material used for building….. More to come soon!